If you try to open the page in Firefox or any other non-Chromium-based non-Microsoft Edge browser, you are greeted with a “browser not supported ” message. 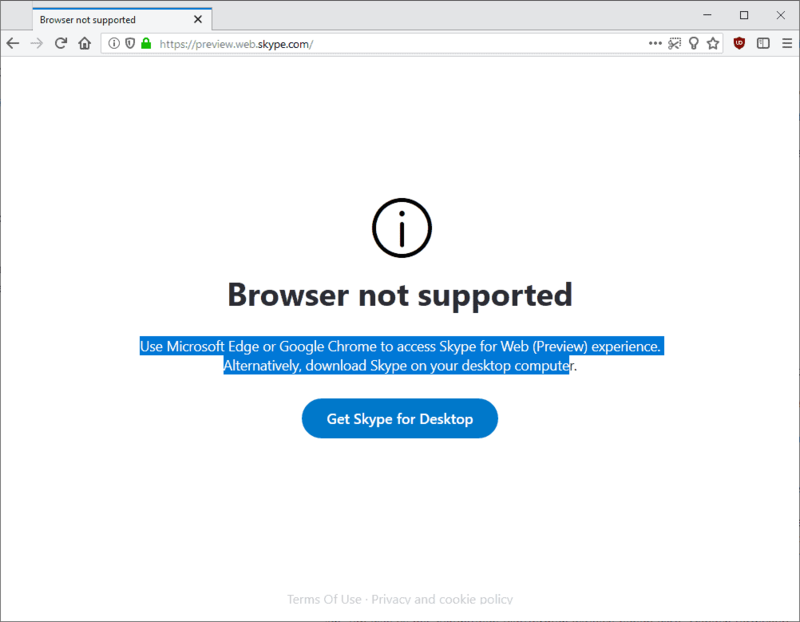 According to the message, Skype for Web supports only Microsoft Edge and Google Chrome. Microsoft asks users to either use one of these browsers — or other Chromium-based browser without stating so explicitly — or use the desktop program instead. A link to the desktop version of Skype is provided. Skype for Web is available as a preview currently, and it is possible that Microsoft will unlock it for other browsers, e.g. Firefox by Mozilla, when the web service exits the preview phase. It is equally possible that Microsoft won’t do so. 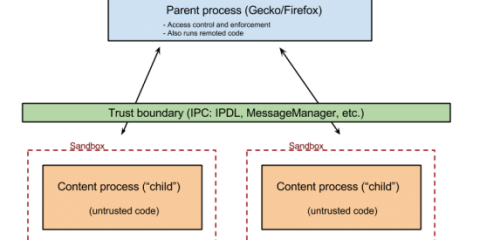 Microsoft does not reveal why Firefox is not supported. 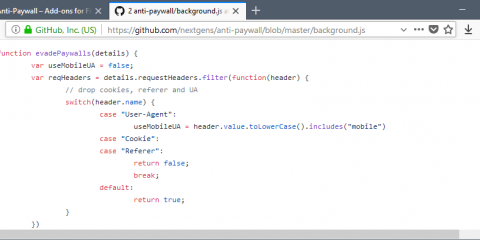 It is likely that Microsoft checks the user agent of the connecting browser and uses it to determine whether users get the “browser not supported” message or access to the Skype for Web preview. 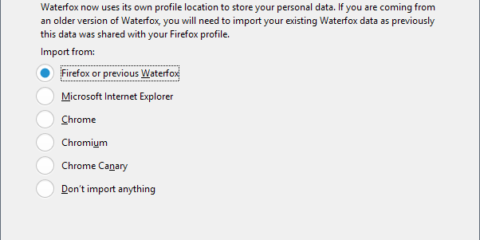 Firefox users who change the browser’s user agent using to that of a supported web browser, e.g. Google Chrome, won’t receive the not supported message but can use the service just fine. Has Microsoft’s decision to switch Microsoft Edge to the Chromium engine in 2019 something to do with the decision? I contacted Microsoft to find out more about the blocking of Firefox but have not heard yet back. Ghacks needs you. You can find out how to support us here or support the site directly by becoming a Patreon. Thank you for being a Ghacks reader. 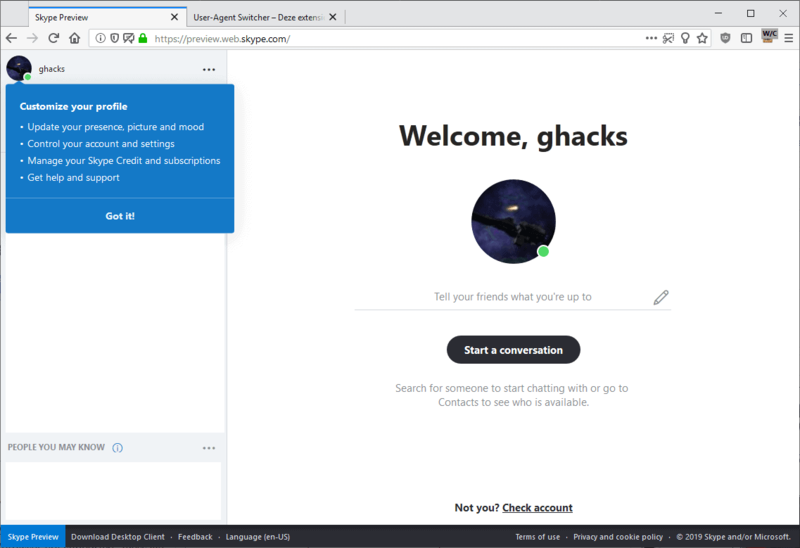 The post Skype’s for Web does not support Firefox appeared first on gHacks Technology News.